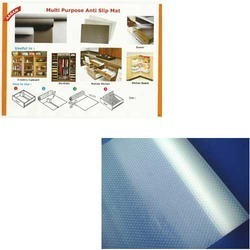 Offering you a complete choice of products which include anti slip mat for kitchen drawers. We are known as the reputed enterprise in the domain, engaged in offering a wide array of excellent quality Anti Slip Mat for Kitchen Drawers. As the name signifies, the provided mat is specially used for kitchens to restrict the entry of dust, dirt, etc. Our skilled professionals manufacture and design this mat with the aid of advanced techniques with the use of optimal quality raw materials. Additionally, this mat is made available in several sizes and finishes at reasonable prices for our clients.